Like it, buy it. Don't? Then don't. Pretty simple. Haha 2600 crystals for 15 shards what a waste. With no gaurantee of at least 100 shards hard pass, especially if it doesnt come with a load of omegas, zetas and/or credits. The only reason I would buy the $9.99 pack was the guarantee of the additional star at a stomachable cost. You've doubled the price to make me buy crystals, where IF I WANTED $10 WORTH OF CRYSTALS I'D BUY THEM INSTEAD! Now I'll buy neither. Thanks for nothing money wh res. Maybe if they eliminated shard cartels that would change, but nah , just try and rake the rest of us lol. A few people have mentioned and I’ll just reiterated what a great idea it is. But if they made it so it was the shards + the original crystal booster - I’d be tempted to buy every pack they came out with if they stacked. 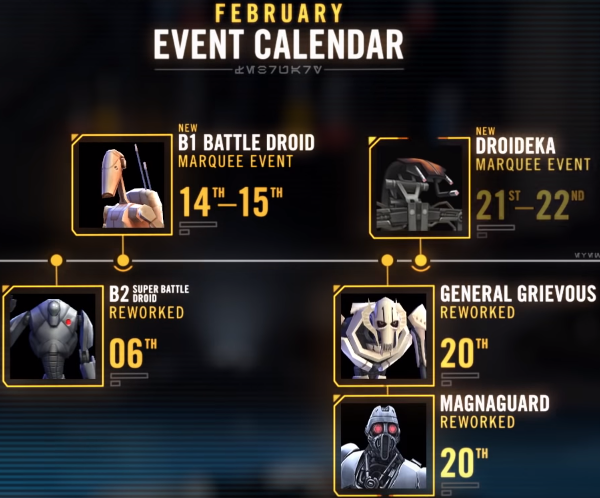 I‘m actually excited for B1 and Droideka and planned to buy those packs to get them to 4 stars and support the game a bit as I generally think the Devs are doing a great job with it. This however? Not gonna buy those packs anymore... 10 bucks more just to get crystals I don‘t need (because droprates on the other pack are atrocious anyway), no thanks. At what point did CG think this was a good idea? They had a meeting to discuss how to increase revenue. What kind of company forces somebody to buy something they don’t need or want? CG does. If you want that extra star you must now buy $10 worth crystals. Such a sleezy, greedy, money hungry CG move. They will justify it by saying it’s the equal value returning to the customer. But the point is a lot of people like the $10 pack for the extra star and a nice head start on a panic farm. This is a disgusting move. I question the ethical intent behind it. CG, this will not go the way you want. Forecast of 2019: death of this game if you continue to make stupid decisions like this. Keep antagonizing your playerbase CG. Good job if that was your intention. I'm sorry but forced purchases? What floppy nosed cash grabbing neanderthal thought this was I good idea? Surely, if you want double the money you offer double the product? Not an unrelated product that can be willing purchased already! You want more cash, CG? $9.99 for the original pack, unchanged, to get to 4 star and then a $29.99 pack to get to 5 star. That people would have paid for! But have to spend the way you dictate for a product that people don't want added? Back to the drawing board, folks and a few more brain storming session (with a perspective from outside of your demented little echo chamber) would be a great plan. It would result in less of these displays of unbridled lunacy. The people in charge of these decisions need to get real. They need to get out of that bubble they're in. Their internal network is harming them. This is why their stock is crashing, because they keep shooting themselves in the face. I dont believe he was sticking up them, just making a point. They are trying something different, based on the responses here, which is a very small sample size of people that actually play it looks like it will bomb. As always vote with this type of game vote with your wallet. People have been saying this game is going to die since 2017. Facts are facts, 2018 spending was the same as 2017 spending. Cubs did a while video using a third party app that shows this. Sure skeptics will be skeptics. Anywho, maybe it will be the end maybe not. I for one am not a fan of this pack but tbh I'll still buy it lol. I'd like a big mac. I don't like this change. Neither of them are appealing or even make financial sense to me. Well I'm not a customer for these $19.99 packs. I bought the $9.99 packs quite often and was planning to continue doing so, but I never buy crystals so I'm not going to spend the extra cash to get them. Disappointing, I enjoyed getting the edge on farming with the extra star. Seems like an odd choice. Why not offer $4.99 packs for 25 shards, with a limit of 5? Surely you'd net a lot more fish that way, even some that'd spend on all 5. Canadian exchange rate already bumps the regular marques out of the single digit dollar range, I have no idea why you'd intentionally do that to the American audience. In another fun note... why is that video not embbedded in the greavous , b1, destroyer, b2 and guard announcement? Are they not allowed to put it here in the official forum? As a so called whale I find this blatant money grab appalling. First they make us buy crew shard with ship bundles and now this. The game must be stalling big time. You just lost me as a customer. Good job CG. I recently did the math, and I spent just under $700 in 2017 on this game. In 2018 I bought Scion and Visas packs, and then they pulled that crap where they nerfed them shortly after release. They then continued so many bad practices through 2018 that kept me from spending again. 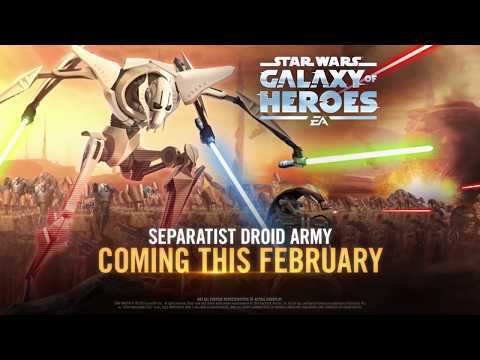 Culminating with the Revan money grab near the end of the year. And now this to start 2019. I have not become even remotely tempted to start spending again. Doubling the price? Wow. And to think I was gonna purchase any good CW character bundles that came out. 20 bucks for 30 shards is ridiculous.